I kind of like the rumor, but what tells me it's fake is the presence of the Evol Ridewatch. The only time I can remember a gashapon becoming DX was the Orange/Wizard Fullbottles, but those weren't even a part of the in-show bottles. I can't imagine why they would make SG Ridewatches of Regular Evol and Black Hole if they'd make a DX later. Are they true or false? Just rumors. We haven't gotten any DX listings or scans yet. Two of my favourite card wielding Riders in the same shot. Huh. Wonder if Juggler is Kikai? 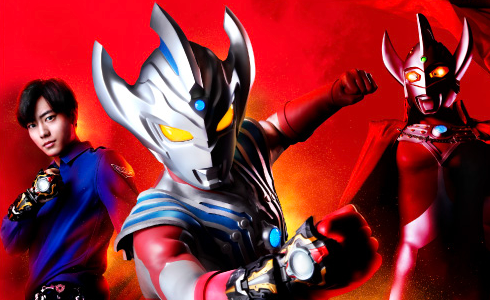 I am gonna assume either the Kikai episodes or the Ryuki special that will be out after Shinobi. Possible 3rd quarter toy listings from Crane Joe, seems to suggest that Woz is due for an upgrade in the near future. We should be getting scans in the next few days, so do take this with a grain of salt. If that's so, then it almost coincides with the rumors that started popping up.